Hope this doesn't sound stupid , but it was something that i was thinking about. say in a deca cycle or any AS cycle. should the dose of juice being taken be in somewhat proportion to the size of the athlete? what i mean is, it would seem logical that a guy weighing 150lbs. would not have to inject as great a dose per week as a guy at 250lbs.. kinda like the "idea" that it takes a bigger guy more alchohol to get drunk. any thoughts? yes. in short, the larger the athlete, the more room there is for steroids to work without being saturated. for example, steroid receptors are in every muscle cell in the body. the more muscle you have, the more receptors you have. 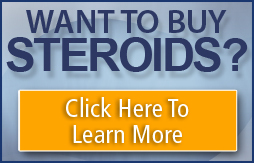 the more receptors you have, the more steroids can bind. let's say you have 100 receptors in a 100lb person and that 100 molecules of steroids will be required to bind to these receptors. having double this amount of steroids, 200 molecules, won't give you any added benefit, because you'll have 100 extra molecules floating around doing nothing, but if a 200lb man has 200 receptors, then the max amnt of steroid molecules that could bind would be 200. so a larger man would be able to utilize more steroids than a smaller man. that was a gross oversimplification of how it works, but i hope you get the general idea. hmm so since im like 160ish i shouldn't hit the test at 400mg and eq 400?? Last edited by D00fy; 03-27-2002 at 03:00 PM.